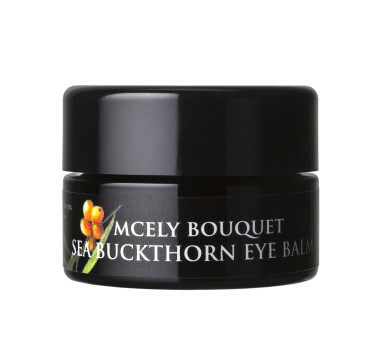 An easily absorbed balm, this nourishing product regenerates and reduces the effects of aging on the delicate eye area. Sea buckthorn essential oil, extracted gently using carbon dioxide, is a rich natural source of vitamins A, C and E, amino acids and carotene. Its primary benefit is to regenerate cell tissue. These effects are completed by an elixir of precious oils, notably rosehip and evening primrose, together with cocoa and Shea butter and the herbal extracts of camomile and melissa. This vitamin loaded all-natural cocktail also provides hydration to the skin, whilst firming and reducing dark circles and eye swelling. Sea buckthorn, rosehip, evening-primrose, camomile, melissa, vitamin E.
Only a tiny amount is needed to massage gently, morning or evening, into cleansed skin around the eyes. 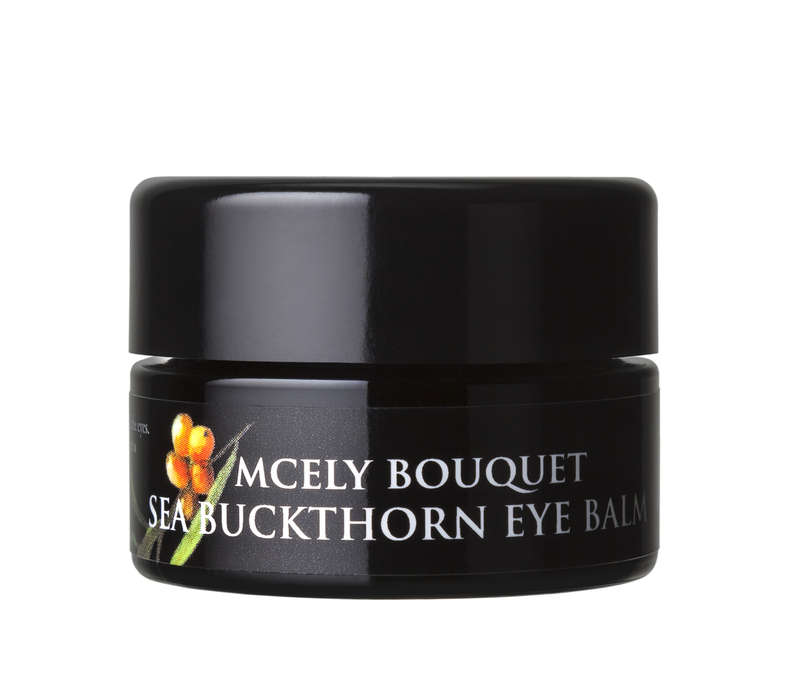 Tip: Eye balm can also be used as an eye make-up remover or for lip care.